The H-D® Heavy Metal dart is made of just that - heavy metal. Unlike other metals, brass, aluminum, steel, or nickel silver, tungsten is an extremely dense material and is used because of its high weight to volume ratio, providing a heavier dart with a smaller mass. 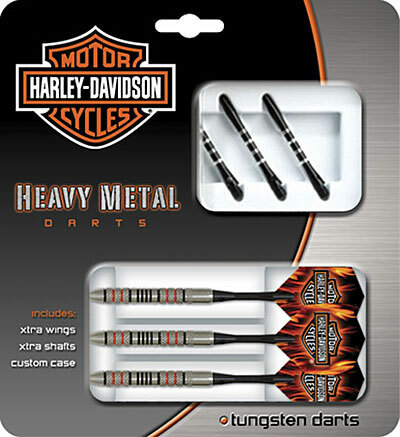 This heavy metal is used in dart production to provide slimmer darts, allowing for tighter grouping and higher scores.